North Waziristan is one of the seven districts of Pakistan's tribal region bordering Afghanistan. 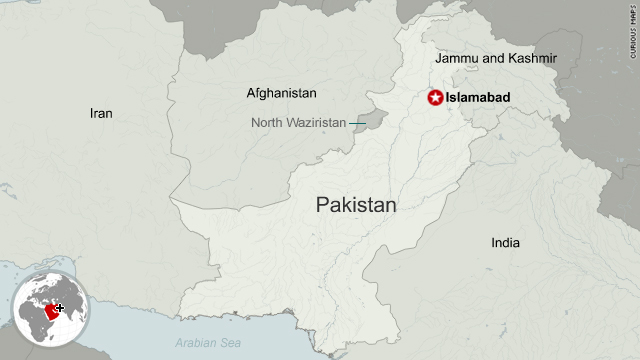 Islamabad, Pakistan (CNN) -- A suspected U.S. drone strike killed 12 militants in Pakistan's volatile tribal area late Saturday, officials told CNN. Two intelligence officials say a militant hideout was targeted by a missile in the village of Issori in North Waziristan, one of the seven districts of Pakistan's tribal region bordering Afghanistan. Officials asked to not be named because they were not allowed to talk to the media.